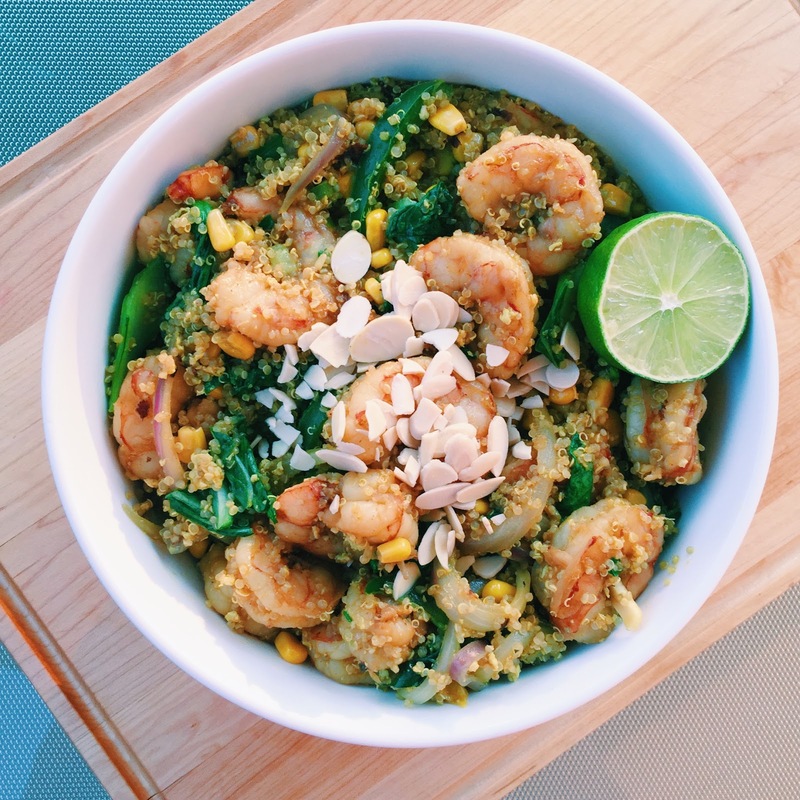 A different take on classic chicken fried rice and seafood paella, I thought to make a healthy and fresh recipe to end off the last weekend of summer with something rich and colorful. This meal is guaranteed to impress your dinner guests so grab a pen and let's get started. The main ingredient of this recipe is wild caught, Argetinian shrimp which I received in collaboration with Marina Del Rey. Not only are they delicious and available at most major Canadian retailors (IGA, Loblaws, Maxi) but they are sure to make you wish you were by the sea. Also, to keep up our health goals throughout the fall, it's best to look for lean meat that is both rich in protein and low in calories to add to recipes and meal prep. These definitely make the cut but don't hesitate to check out Marina Del Rey's health facts page on their website for the full details. This recipe was made on the spot but the idea behind it was something I've been thinking of trying for a while. 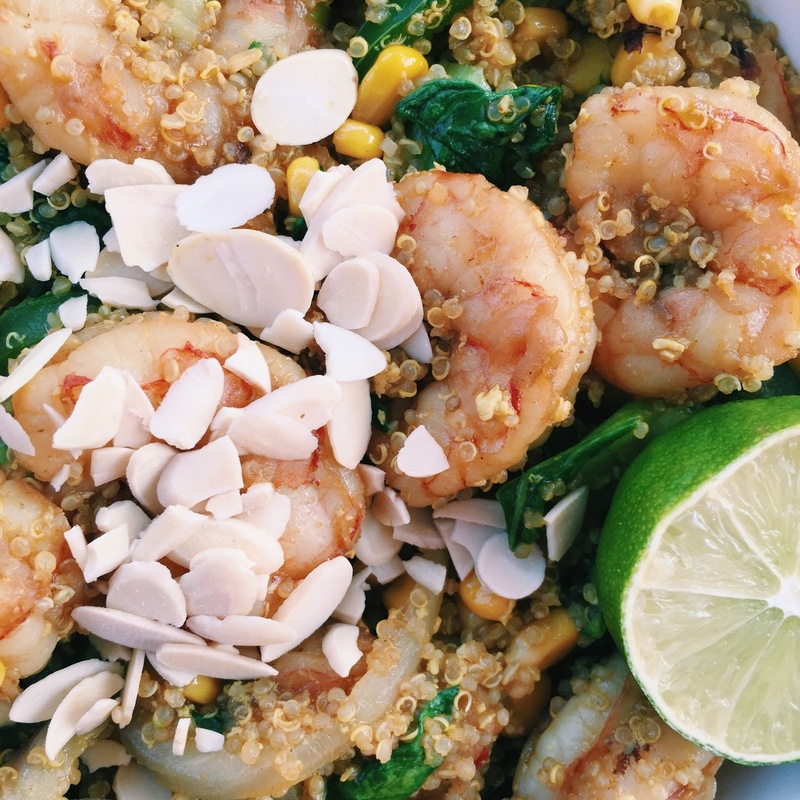 I substitute quinoa over rice so often and knew that it would be a great base for a 'fried rice' concoction. Another ingredient worth mentioning is the liquid aminos soy protein sauce. 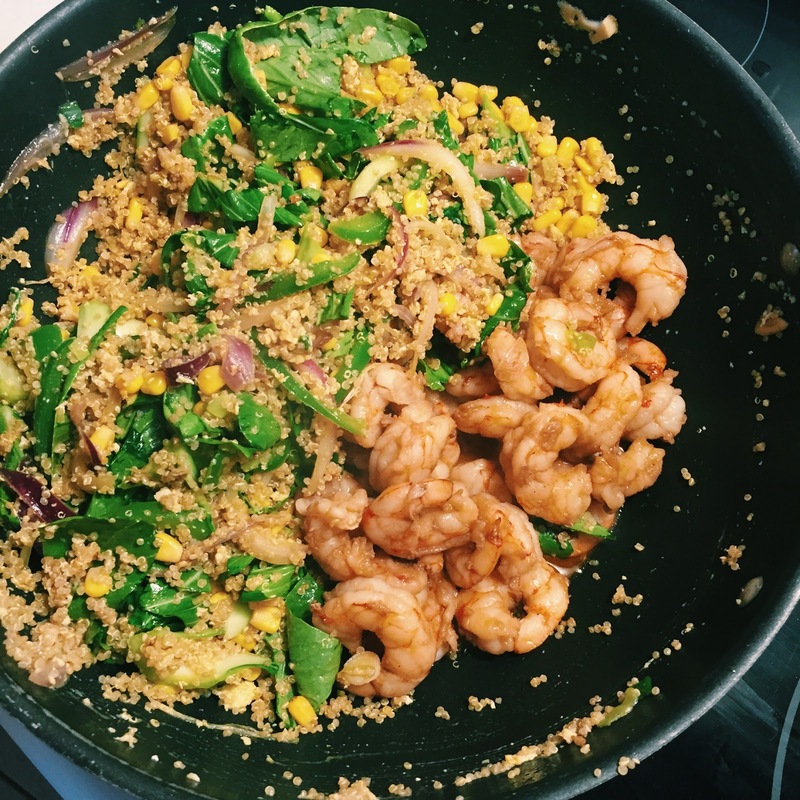 It served as a perfect marinade with the Marina Del Rey shrimps and I would definitely recommend picking it up for it's health benefits over a general soya sauce. Cook quinoa in 2 cups of boiling water on low and covered for 15 min. Once there's no water left, take it off the heat and let it sit for 5 mins. Flake quinoa with a fork and set in the fridge to cool. While quinoa is cooking, follow the Marina Del Rey bag instructions to thaw, rinse (since they are already deveined!) 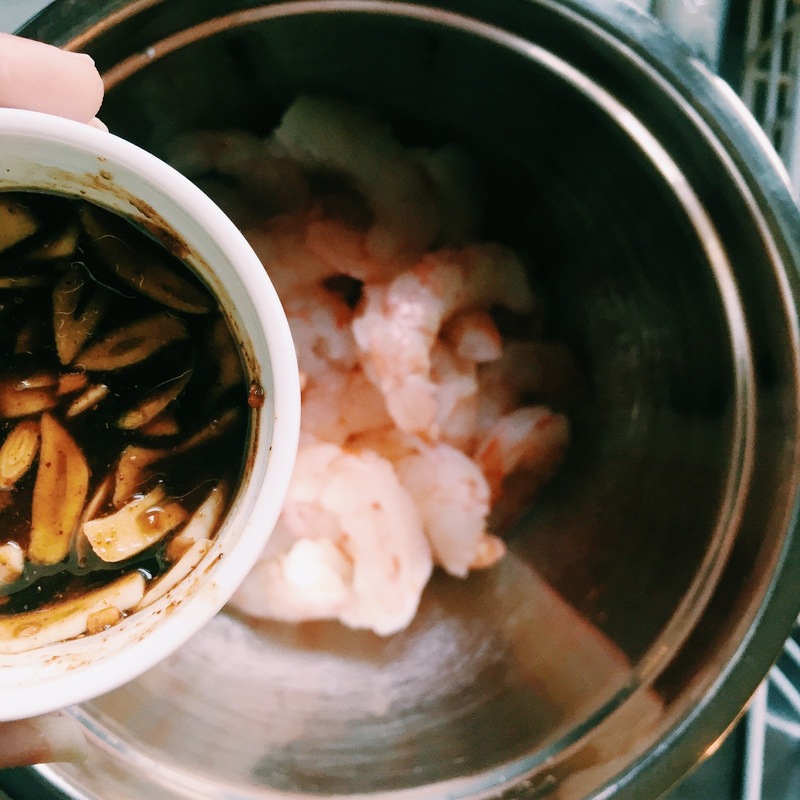 and set shrimp aside in a bowl with freshly chopped garlic, 3 tbsp of liquid aminos soy sauce and 1/2 tsp of ginger. Let shrimp marinate in the fridge for at least 20 minutes. 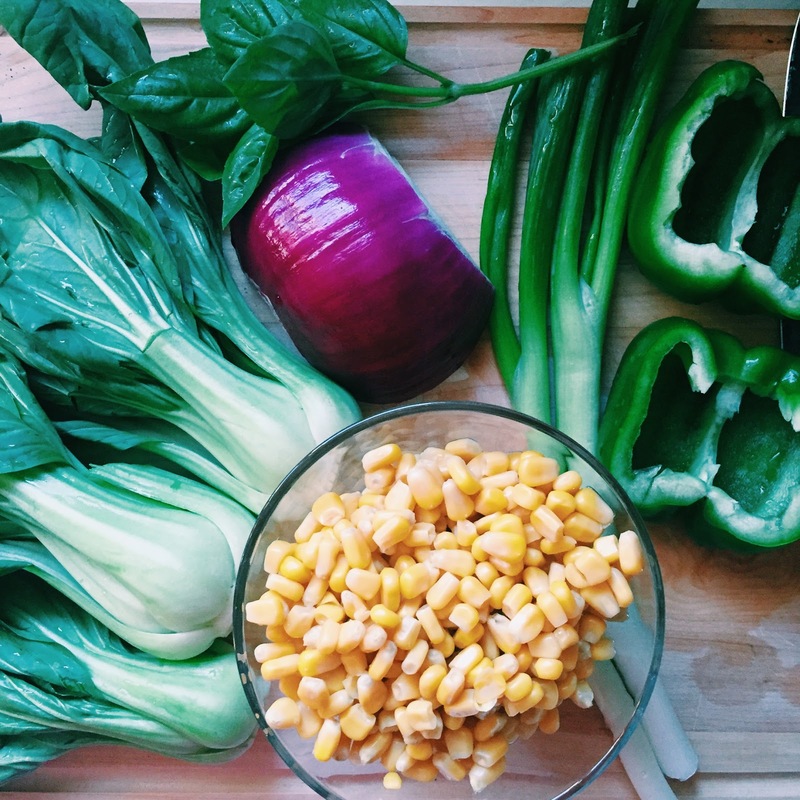 Rinse corn, scramble a raw egg in a bowl, wash and slice red onion, green pepper, shallots, baby bok choy and basil to prepare for your stir fry. 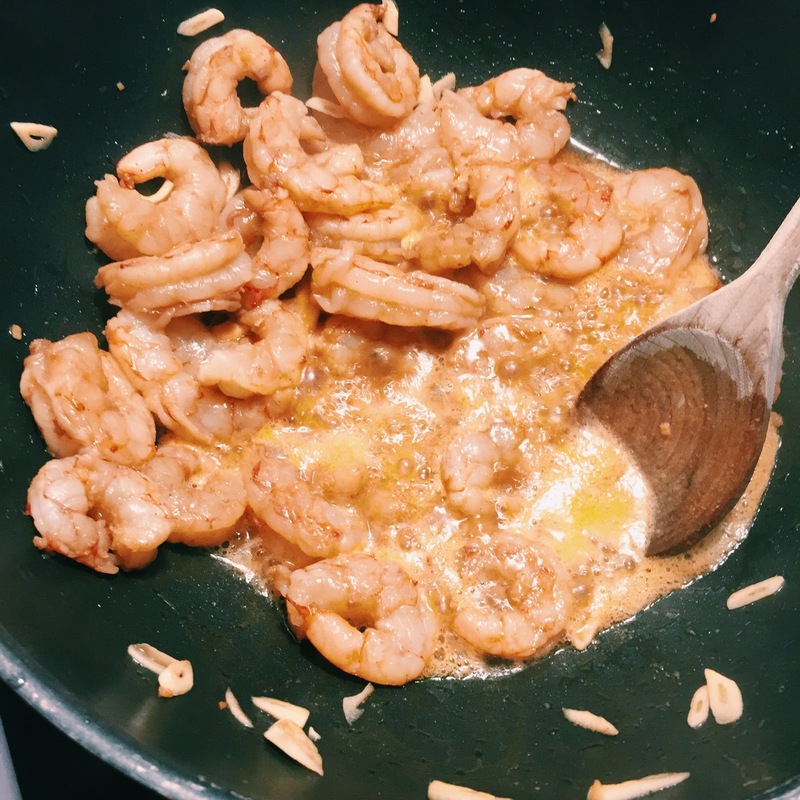 On medium-high heat, coat a Wok with a tbsp of olive oil and cook shrimp for 5 minutes. 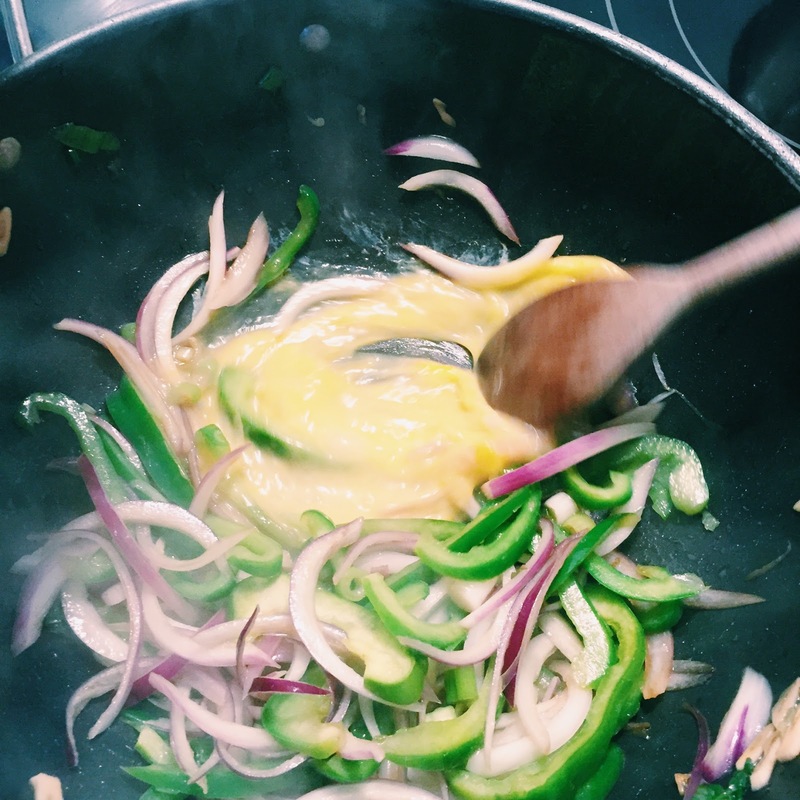 Set shrimp in a bowl aside and cook the red onion, green pepper and shallots for 4-5 minutes in the same Wok. 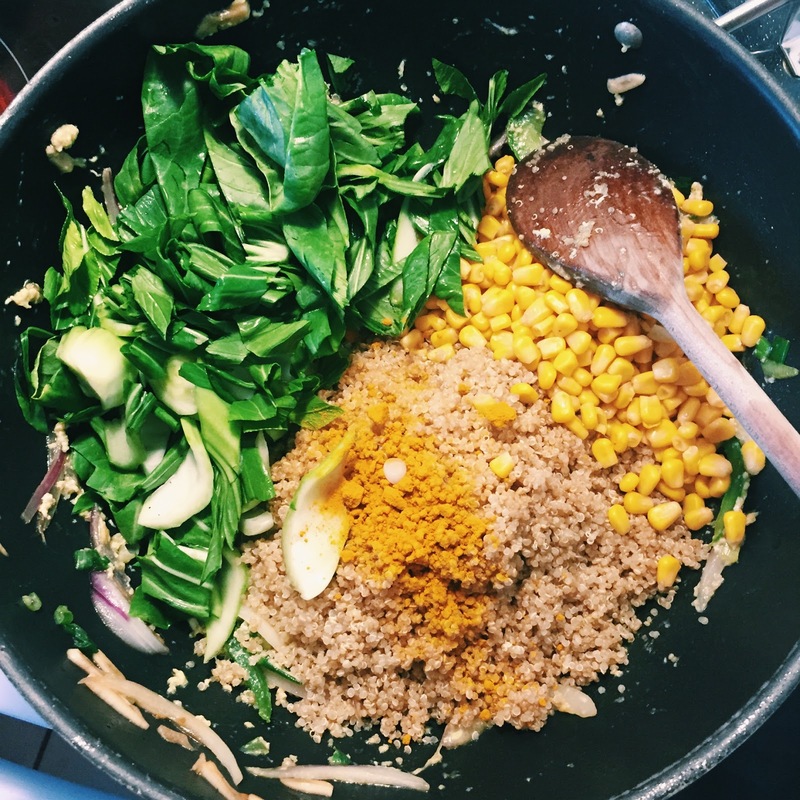 Set them to one side of the Wok while you scrambble the egg, then add in cooked quinoa, baby bok choy, corn, basil and tumeric. Stir, add in cooked shrimp and plate. Top with sliced almonds. Thank you to Marina Del Rey and Hashtag Media for this great collaboration.